Dictionaries offer more insights into language than just word definitions. Imagine looking up the word geyser and finding it has its origins in Icelandic. You look more closely. It turns out the Icelandic origin is from Geysir, the name of a hot spring in southwest Iceland. The name comes from the Old Norse word geysa, which means to gush. And more, it is related to the English word gust, for a blast of cold air. 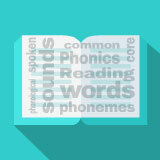 Dictionaries can tell you the part of speech a word is – in the case of geyser, a noun. They can teach you how to pronounce a new word. That lets you use it in conversation. And dictionaries can show you how the word divides into syllables, which can further help with the sound-print connection. In this experience, you will practice your dictionary skills. Look up the word chasm. Find its part of speech, word origin, and definition. Post a fact about the word. Examples might relate to the word’s origins in Greek (khasma, or gaping hollow) or Latin (chasma); its definition as a deep fissure; or synonyms such as ravine, gorge, gully, crevice, or gap. Chasm is a noun.